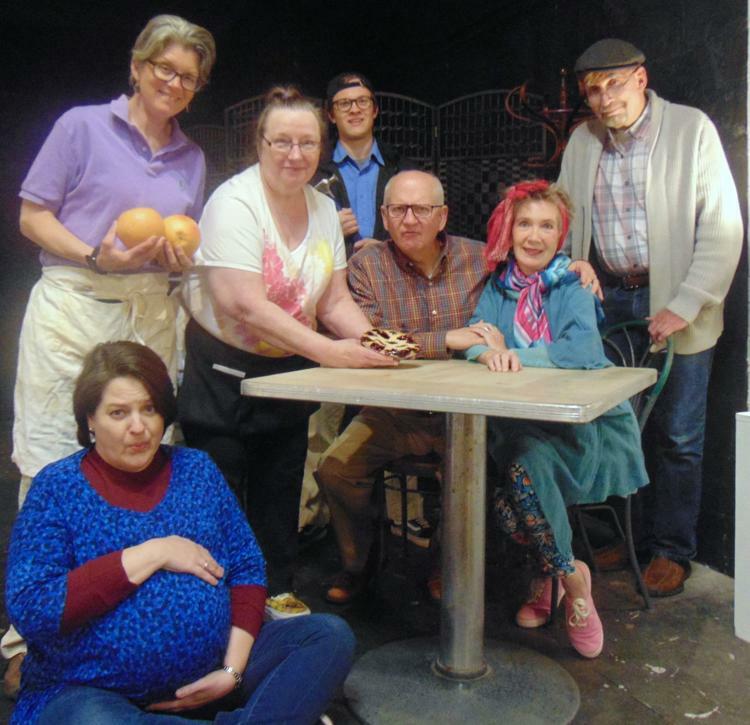 Stanley and Alice, a comedy, debuted in March 2019 at the ARTC Theater in Winston-Salem, NC. Directed by Marsha McNeely Hierl, produced by Gill Thornton and Walter Boyd. Stanley Whitman: Is a lovable curmudgeon with a dash of Felix Unger as he plays the role of neurotic hypochondriac with warmth and humor. Alice Whitman: Stanley’s wife, is feisty and Stanley’s rock. Her strong and sassy character keeps Stanley and his neurosis in check. She provides Stanley the right balance of tender and tough love. Audiences came to love the Whitman’s as they followed them during the span of a day filled with laughter. One hot day my husband and I went to a diner for apple pie. I questioned their patriotism and groused when told, “No apple pie.” Probably, so I’d stop grousing and leave him alone, my husband told me, “Write about it.” I did. And that is how at my age without medical or divine intervention, but rather a grain of truth and a wild imagination I gave birth to Stanley and Alice. Actually, I’ve given birth to Stanley seven times. I hope audiences find Stanley appealing as no mother wants to hear their baby is ugly. We’ve all had embarrassing moments. My most recent one was forgetting to brush my teeth before I left the house in the morning and then wondering why everybody I spoke to kept backing away. At least this time people didn’t laugh and point the way my classmates in sixth grade did when my skirt got stuck in my underwear. They all pointed and laughed as I walked to my seat. I guess I should be happy it happened before social media where it would be plastered for the world to see. Social media takes embarrassment to a whole new level. Sometimes we’re embarrassed not for ourselves, but for others – ‘second hand embarrassment.’ You ever get embarrassed for a comedian dying on stage? You feel bad (squirming in your seat) knowing they know they’re bombing. Silence to a comedian is worse than a tomato in the face. As part of a couple, if your spouse tells a joke and it falls flat, the embarrassment falls also on you – ‘second hand embarrassment;’ embarrassment by relation. In a house where the bathroom is off the kitchen the stage is set for embarrassment. Tell me the genius who thought the kitchen/ bathroom combo was a good idea. It’s not. You go to a friend’s house for dinner and halfway through the meal someone dashes to the bathroom. As you’re chewing your steak you’re now being serenaded by moans and groans. You wince when you hear grunting and noises heard only from animals in the wild. You applaud when you hear the flush, but your glee is short lived as there’s a round two. This round comes with cursing and air freshener being dispensed. Finally, the boxer emerges looking weary, but triumphant. Nobody acknowledges what went on in there. 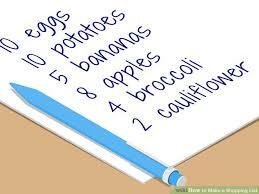 You keep eating and gradually realize you smell more than what’s on your plate. The smells wafting out from the bathroom and mingling with your food have created a rancid, overpowering stench of a cloud. People lose their appetite. Nobody wants to eat steak that smells like that. You gag with every bite. Guest offer excuses and make a hasty retreat. You, the hostess watch people run to their car and think – how many friends did this cost me? Some embarrassing moments come at a high price. 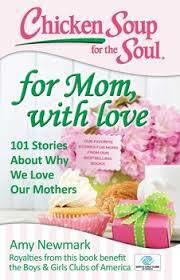 In 2016 Chicken Soup for the Soul: for Mom, with love published my story Answer the Phone. This story talks about my mother and her amusing antics with the answering machine. The Frolick Dogs gym in Alexandria, Virginia is 6,000 square feet, has two treadmills, balance balls, a cross-training space and an agility course. Frolick is Washington’s area’s first sports club for pets. For $50 a month, dogs get unlimited access to the facility. At the gym dogs get a greater variety of exercise, social time and a solid workout. I’m curious if a photo ID is required at this doggie gym, like the gym for humans. What if dogs, like their owner (who joined the local gym January 2 as a New Year resolution and lost interest January 3) loss interest…what happens? Will a dog be forced to go? Since they can’t talk there’s no way for you to know your dog thinks this is a big waste of your money. He’d rather be home eating the dinner scraps that fall on the floor and chasing his tail than walking on a treadmill. If you really want him to get a workout, open the door the next time the mailman pulls up and watch him run. The dog can’t help it if your child, the one you bought the dog for, the kid who promised to walk it, doesn’t want to walk it when it rains or snows or their favorite show is on television. The dog would be happy to sit, eat biscuits and get fat right along with your kid than take a walk and have to wear that ridiculous sweater he got for Christmas. The poor dog’s embarrassed to wear such a sweater and gets taunted at the dog park. It’s a blow to a Rottweiler’s ego to be picked on by a little hotdog. There have been times when walking I’ve seen a dog owner holding the dog and when I’ve asked, “Why” given the reply, “They like to be held.” Call me crazy, but I think holding your dog when they should be walking for exercise, maybe the reason the need for dog gyms originated. I wonder how the dog gym policies will compare to human gyms. Will dogs be required to shower before entering – if so are the showers coed? Will they be required to walk certain directions on the track, depending on the day? Will they have to wipe down the equipment? Will they get a locker for their clothes? Oh, please, now that we have doggie gyms, doggie exercise outfits can’t be far behind. Anarticle in USA Today reported that Target is offering ‘curbside’ service at select stores starting in SanFrancisco. The customer orders and pays for their purchase with a free app launched for Apple and Android devices. Your order is then packaged and waiting for you curbside when you arrive. The app taps into location services letting Target know you’re on your way. 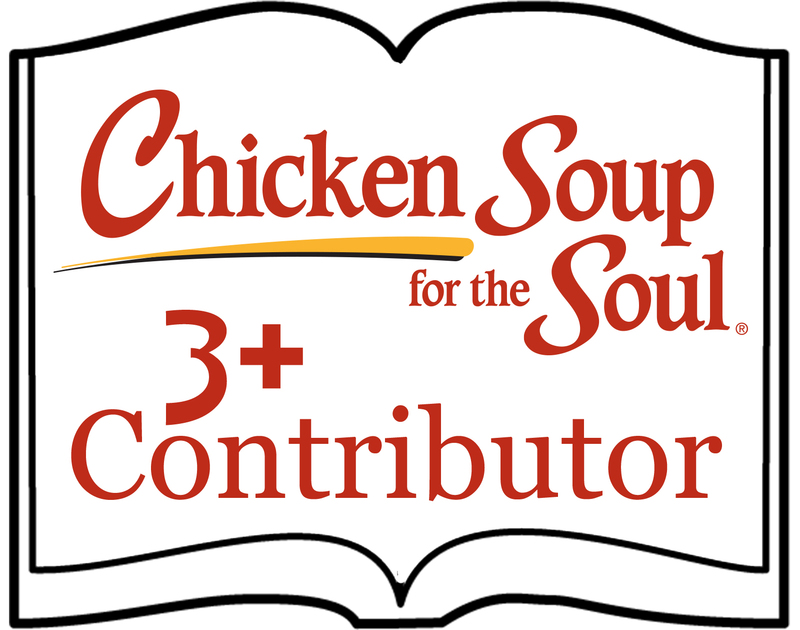 I think, in theory, this is a great idea, especially for those who would benefit from this service, but in reality, I think it could become another story. Allowing curbside service at a store that already has pedestrian and car congestion can turn into a nightmare. On my last trip to Target, I saw a car parked curbside (really, it was the middle of the road) with a driver at the wheel and thought he was dropping someone off. When I came out of Target, the same car was still there and finally left when the lady who was walking beside me got in the van. Turns out he waited for his wife and made curbside his park –n- wait. Traffic in front of Target is bad enough, add curbside service and come holiday season you’ll have angry, ugly shoppers. Will curbside service be offered to the customer who orders a cheap $5 gift or will there be a minimum price requirement? The article also mentioned that on-line retailer Sears recently added returns and exchanges to it in-vehicle curb services. It’s bad enough being in a store, stuck behind someone in line with no receipt, returning a 100 items… now we’ll be waiting behind them in a car? I could just smell the trouble. Wait too long and the ugly, angry customer/motorist will accidentally tap the person in front of them; a lawsuit waiting to happen. I think because of all the inconsiderate people who park in the middle of the road (rather than curbside) and because of all the people who think curbside is their parking spot and all the people without a receipt, that curbside service should be at the stores back for backside service. I fear that with curbside service the inevitable ugly news report will come, “Shoppers scrambled for safety when shots were fired today during curbside service. Santa was heard to have exclaimed ‘**** **** ****’ instead of Ho Ho Ho when his cap was blown off his head; poor Santa, an innocent victim in a case of curbside service gone wrong. USA Today’s snapshot showed that 32% of people showered in the morning and 89% showered at night, before bed. I don’t know why people who bathe weren’t included. I feel as though in order to bathe one needs the luxury of time. Some people light candles, play soft music, drink wine and read a book. Just filling the tub requires time and takes longer than the average shower. I wish a shower was a pleasant experience for me, but it’s just a means to an end – getting clean. When I’m in the shower I’m not fully engaged as my mind is somewhere else. When you shower in a hotel there’s always the fleeting, irrational thought you toss like a piece of garbage – should I wear flip-flops? Because even though the shower looks all clean and sparkly, we’re suspicious. Thanks to shows like Dateline or Primetime we all know looks can be deceiving. I think a follow-up question to – when do you shower, should be – do you pee in the shower? The people who pee in a pool are the same people who’ll pee in the shower; people who don’t pee in a pool, won’t pee in the shower. This is why we should pray for the little boy who pees in the shower and hope he doesn’t show off what a good speller he is by writing his name on the wall. You’ll need more protection than flip-flops can offer. I wouldn’t want to soak in a bath after him. I went shopping for my daughter’s birthday which is in October. In one store I saw Frozen Christmas tree ornaments and I got them for her. Why wait? She’ll be able to admire them hanging from the tree before Christmas day. It can be confusing shopping this time of year as the Christmas decorations mixed with the Halloween decorations have you rushing the holidays. I also bought her Christmas socks. Why wait? This way she can wear them the entire holiday season and not just Christmas day; although if she’s like the people who leave their lights up until Easter…she’ll wear them long after. At another store I was looking for pajamas and instead got her a holiday sweatshirt. Why wait? Now she can wear it the entire season and not just on Christmas. I’ll bet you Santa gets miffed being recognized only one day out of 365. I also bought her festive, holiday earrings. Why wait? Snowflakes are symbolic of winter and Christmas time. Now she can wear them the entire season and not just Christmas. When I went to buy ingredients to make her cake I bought the nuts needed for my Christmas cookies. Why wait? They were on sale and I needed them…eventually. When I went to buy her jacket, I came across holiday wreaths and bought one for myself. Why wait? Sure it wasn’t on the birthday list, but I wanted it so – why not? Now that her birthday’s over I’ll have to start thinking of Christmas; it’ll be here before you know it. I knew I should have bought the wrapping paper I saw. Oh, why did I wait? I received a reminder card for my dental appointment. Part of it read ‘please take note of the time as it may have been modified.’ Isn’t it nice that doctors have the privilege to modify your appointment without first consulting with you? It sends a loud and clear message that their time is important and yours isn’t. If the shoe was on the other foot I don’t think doctors would appreciate the time modification. Doctor: So, Mr. Smith, why were you late for your appointment? Mr. Smith: Well, my appointment was at eight, but I felt like sleeping in, so I modified it to nine. You don’t mind do you, doc? Yesterday I went to a restaurant that modified my regular sandwich by decreasing the amount of meat. I wondered if they decreased the amount of meat, then why they didn’t decrease the price. Maybe they thought no one would notice. Has anybody else besides me noticed how Chips Ahoy has modified the chocolate chip cookie? Very gradually it has been getting smaller and smaller. If it gets any smaller they’ll have to be called chocolate chip minis. If you’re a dunker who uses the same glass you will find a whole lot more room to swish the cookie around in. Try it. Perhaps Chips Ahoy thinks that just because people’s butts are getting bigger and bigger our vision is impaired and we won’t notice their cookie getting smaller and smaller. We notice. And we all know a person who modifies the truth. Every time you talk to them they have a different story. They give some version of the truth depending on who they’re talking to. Only, the truth doesn’t have versions. It shouldn’t be modified like a chocolate chip cookie. Don’t mess with truth and don’t mess with the cookie. You hear that Chips Ahoy?